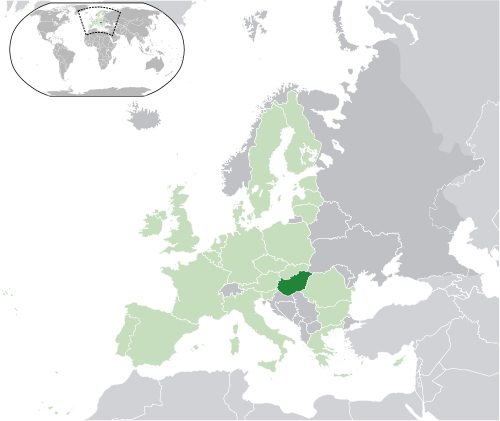 Hungary is situated in the very heart of Europe, for over 1100 years. It has joined the European Union in May 2004. The country has a size of ~36.000 sq mi (93.000 km2), which makes it similar in size to Indiana, South Korea or Portugal. It has a population of ~10 million inhabitants. 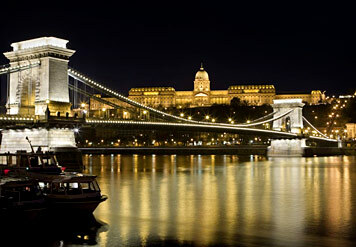 Budapest is the capital city of Hungary, and has a population of 1.7 million inhabitants. It is one of Europe's most beautiful cities, being often called as "the pearl of the Danube". The twin cities of Buda and Pest, divided by the Danube, united in 1873 to form the city of Budapest. Its architecture is characterized by homogenous parts of different building periods, such as vestiges of the Roman occupation, the prestigious Castle District preserved in Romanesque and Gothic style, the rigor of the Habsburg Citadel, the eclecticism of the turn-of-the-century buildings boasting the richness of the new citizens. It’s truly a city where East meets West, and where people are historically familiar with both cultures, while their own culture and language remains unique. Visitors from all over the World feel at home here. When visiting Budapest, there are lots of must see sites, such as the Parliament, the Fisherman’s Bastion, the Castle District, the Matthias Church, the Gellért Hill, the Heroes’ Square, the St Stephen’s Basilica, the Opera House, the shops of Váci street, and many many more. There are more than 230 monuments in this beautiful city. The museum lovers will also enjoy their visit, as the city and its immediate surroundigs host more than 200 musuems. Did you know that the Fine Arts Museum in Budapest has the second biggest Spanish art collection outside Spain? Or that the Statue Park, a unique open-air exhibition of gigantic Communist memorials, is the only such museum in the world? Below you can see some of the most interesting museums marked on the city map. Budapest is also known as Europe's spa city, with more than 100 thermal springs. The most famous baths not to be missed are the Széchenyi, the Gellért and the Rudas baths.